Marlene is originally from Wisconsin where she earned her degree in Dental Hygiene before relocating to Georgia with her husband in 1989. She left behind season tickets at Lambeau Field for the warmer southern weather but will always be a Green Bay Packer fan. 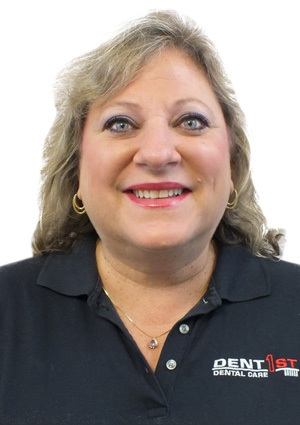 She has been with DentFirst since arriving in Atlanta. Dentistry is popular in her extended family with five dentists and two hygienists, including two of her sisters in the profession. She loves visiting with patients to get to know them better; To hear about their vacations, children, work, and love life. Through the years she has frequently treated multiple generations within a family. Most patients feel like family to her so she takes extra special care with everyone. Marlene has three boys and spends most of her free time either cooking for them or watching one of their sporting events as their biggest fan.